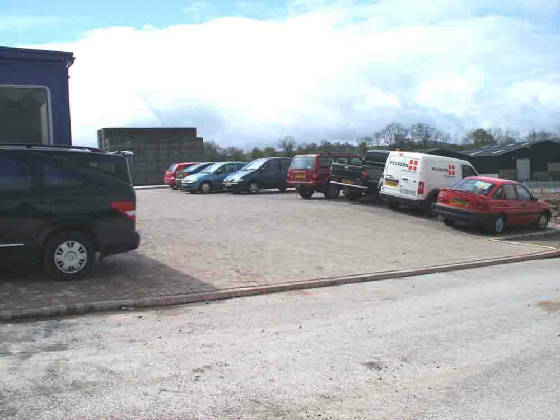 A selection of photographs showing how the development of the Industrial Park has made it increasingly difficult to trace the alignment of the Railway. Click on any of the pictures to open an enlarged version in a new window. 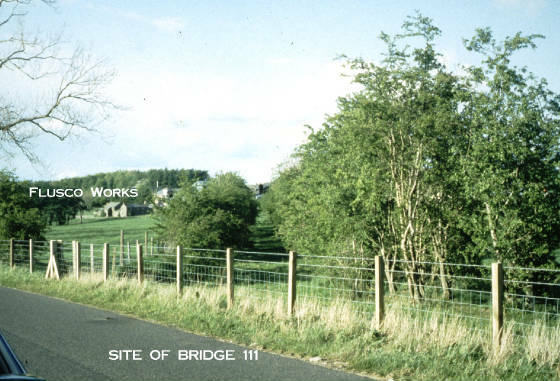 View along the trackbed from the Division Moor Road on the western boundary of the site in 1995. When Planning Permission for the fuel depot was given, less than half of the total area of the Industrial Park had been developed. 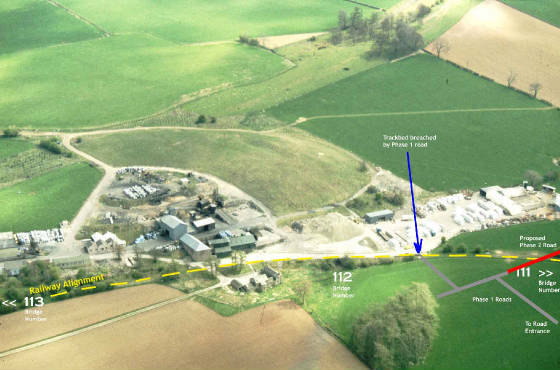 The fuel depot could have been relocated, or re-designed to avoid obstructing the trackbed. Eden District Council's own policies state that by "careful design" such problems can be avoided. The Council decided not to enforce such measures and allowed the Railway trackbed to be built on. 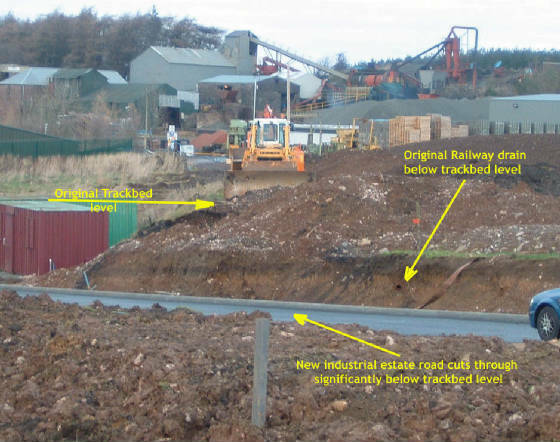 Other previous developments had been carefully sited, or adapted, to avoid the trackbed after comments by CKP Railways plc. 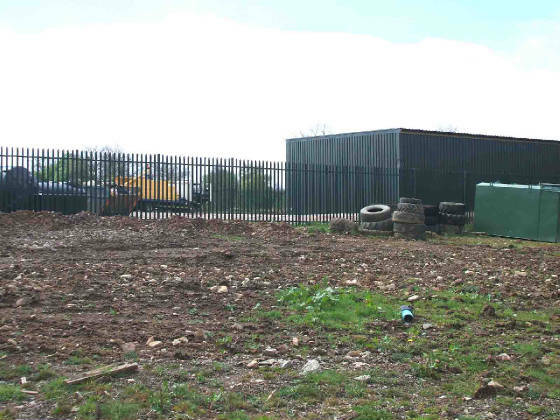 CKP Railways plc commented on the planning applications for this open storage and did NOT object to the principle, but commented on details. Such open storage is not a major obstacle to reopening the Railway as clearance is only a matter of minor earth moving. Installation of drains, laying of cables and siting of permanent buildings on or too close to the trackbed would cause problems and (avoidable) additional cost. This is how trackbed protection policies can work for everyone's benefit - accommodating present day needs without denying future possibilities. Photograph No. 7 was taken looking in the same direction, from almost exactly the same position, as photograph No. 3 above. 2007 view along the trackbed alignment westwards through the fuel depot. Photograph No. 9 was taken in the same direction as Photigraph No. 5 (above). 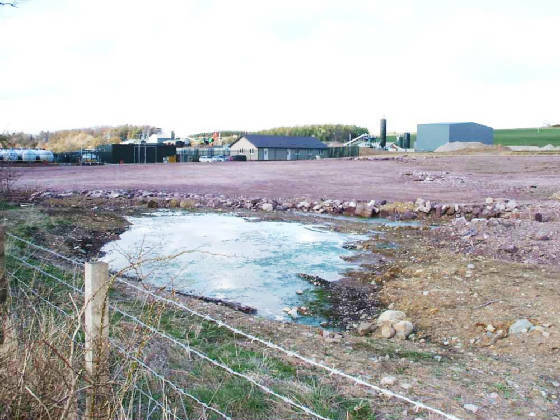 The warehouse building on the left is clear of the trackbed - this was confirmed in correspondence before planning permission was granted. Photograph No. 10 is the same view as Photograph No. 1 (above) taken just 13 years later. 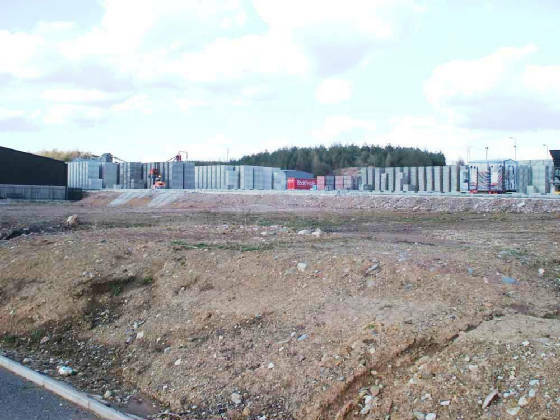 This is the result of failures to enforce existing policies on Railway trackbed protection. Note how much land is undeveloped - different arrangements for the fuel depot (in the centre of the picture) should not have been difficult to make. 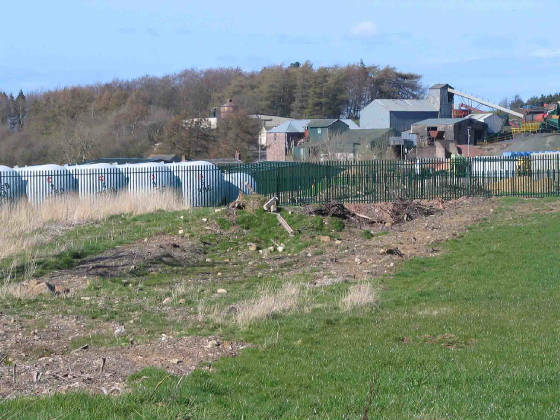 Details of the planning applications and dialogue with Eden District Council about protecting the trackbed are on the "FLUSCO - History" page.